Mr. Ben turns 6 in a week and I was looking through pictures of him as a baby. I decided I needed a little something for me, so put together a "One Year of Ben" mini album. The cover holds his hospital picture (which never looked like him and I don't like it all that much, which is why I'm not adding a picture of it). 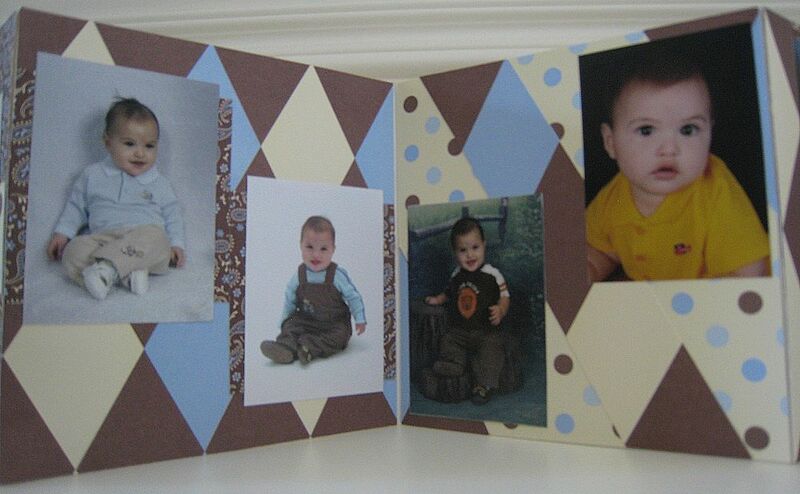 I might have to print a better one from regular camera shots and fix it with a picture that looks like my boy! 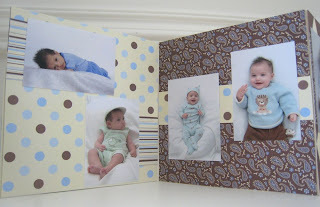 Then, the inside holds is professional photo from each month of his first year--one month through 12 months. 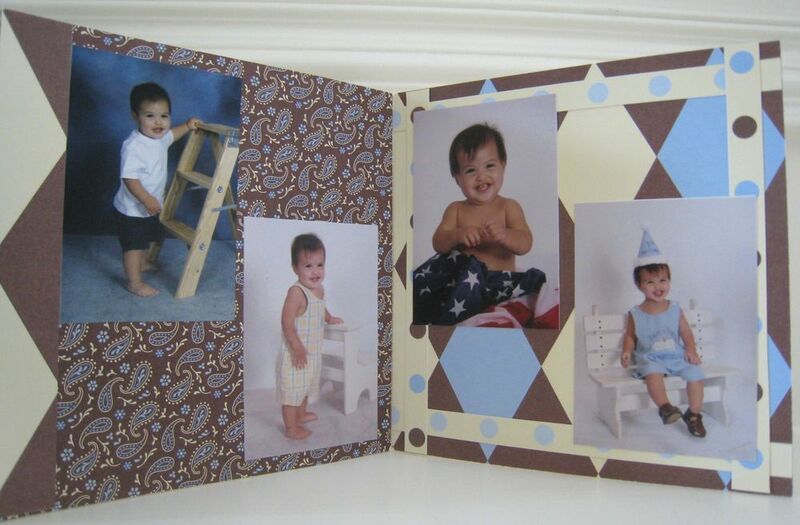 I had his picture taken every month on the 8th. I really love this, and it was much more fun to make than unpacking and organizing tonight! I cannot believe my baby is going to be 6!! !